Coyle Hospitality Group, a market leader providing mystery shopping and market research services exclusively to hospitality companies worldwide, announces the results of its 2011 Global Spa Report completed by 1,025 respondents from 34 countries on 6 continents in March 2011. The full report details the extensive results of Coyle’s analysis and further addresses some key questions such as: Will the deal savvy consumer actually return to my business and pay the going rate? What marketing efforts and promotions work best? 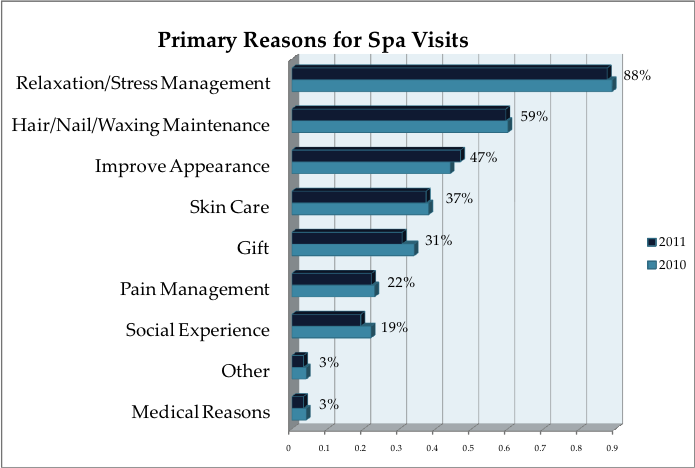 Coyle recognizes that consumers’ decision-making processes differ based on the industry; in spas, emotions are the drivers. Unlike other market research companies, Coyle doesn’t ask people what they ‘would’ do, but rather, what they have done and tries to ask open-ended questions rather than multiple choice wherever possible. To download the full Coyle Hospitality Group 2011 Global Spa Report, please fill out and submit the form below. Founded in 1996, Coyle Hospitality Group is a market leader providing mystery shopping services, industry benchmarking data, and market research to the hospitality industry, including hotels, resorts, restaurants, cruises, spas, timeshares, sports stadiums, and venues. Coyle utilizes a professional network of over 6,000 evaluators, serving markets both large and small, worldwide. Coyle’s hospitality experts provide unparalleled service and tailor-made programs to accommodate the nuances of each client’s brand. With Coyle’s objective and actionable reports, proprietary market research, and industry benchmarks, Coyle conveys the complete story behind each customer experience using colorful insight and meaningful analysis, recognizing that every detail counts. Please direct any questions to info@coylehospitality.com.